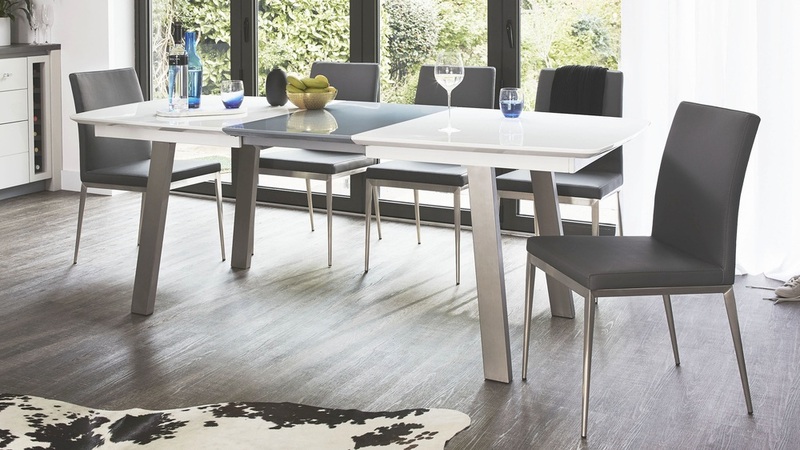 Add some contemporary elegance to your dining space with the Assi White and Grey Gloss Extending and Lucia Dining Set. 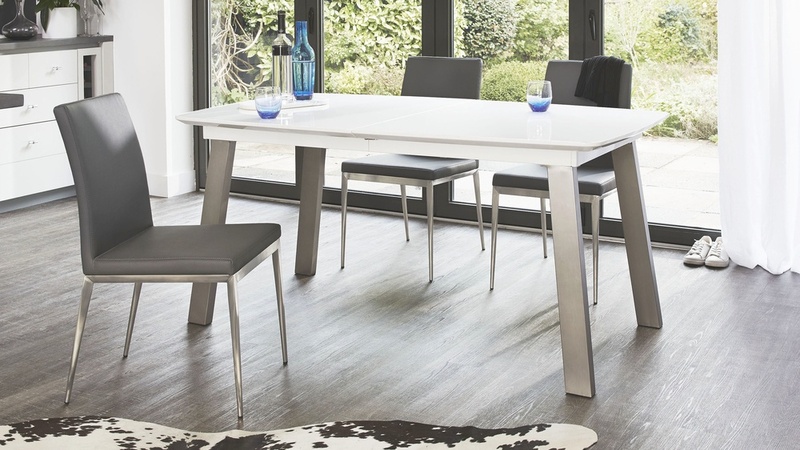 For versatile seating arrangments, the white gloss table can be separated with minimal effort to reveal a contrasting grey extension panel. 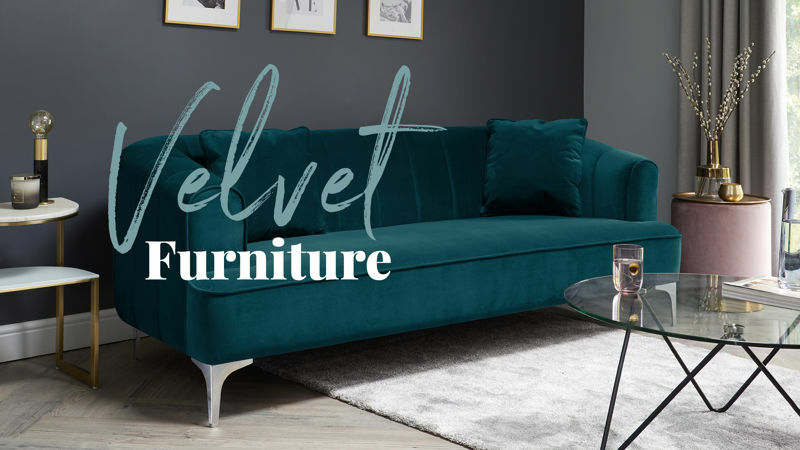 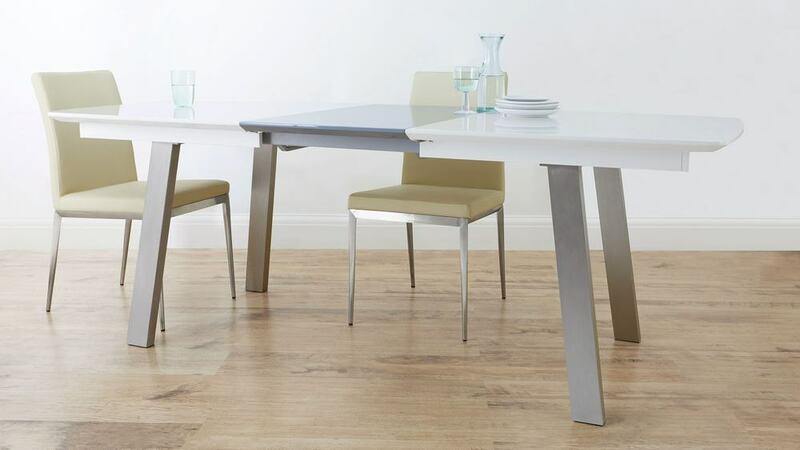 This not only adds a touch of colour and warmth to the table surface, but it also takes this modern piece from a four to an eight seater dining table. 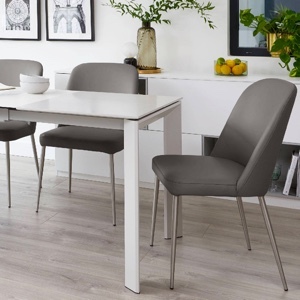 The faux leather dining chairs are as comfortable as they are good looking, designed with both style and comfort in mind. 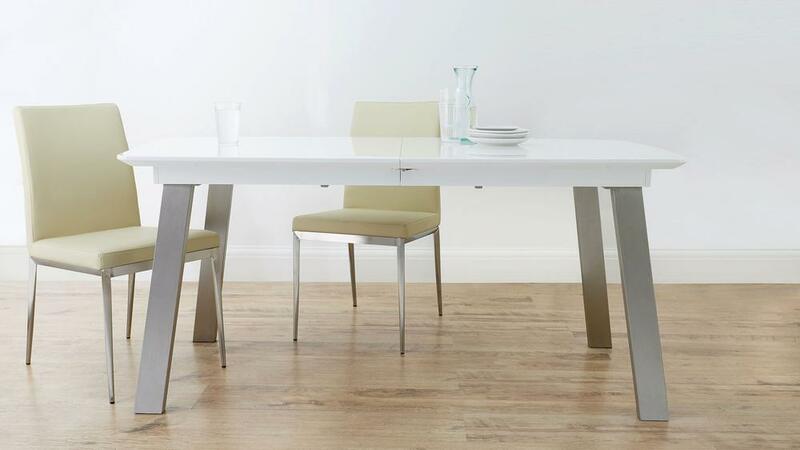 The Assi White and Grey Gloss Dining Table extends from a 4 all the way to an 8 seater dining table. 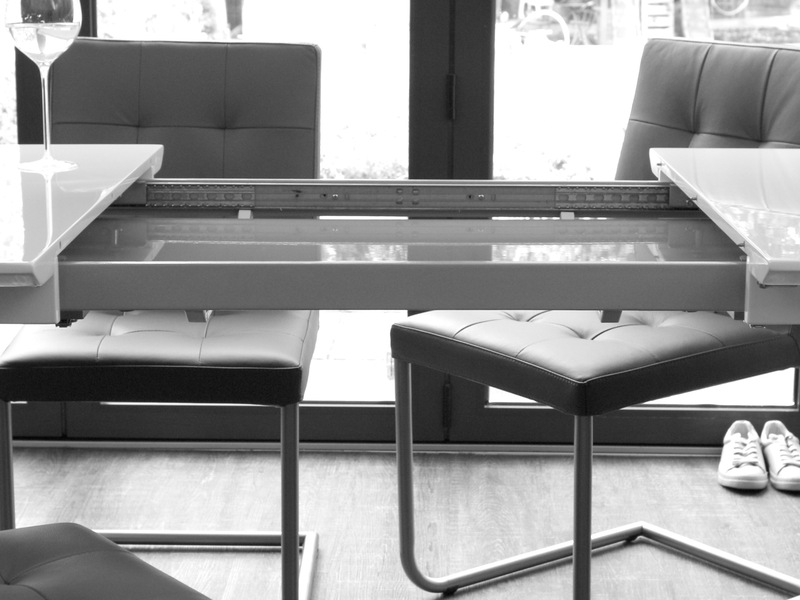 The Assi table is an ideal choice if you are looking for both versatile and incredibly easy seating, as you can add and remove table settings when needed. 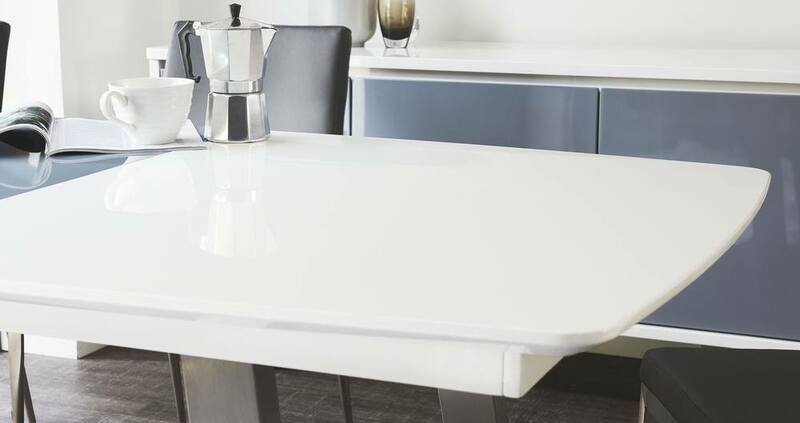 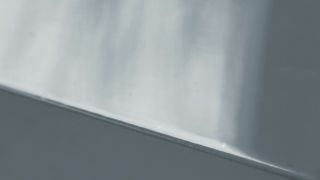 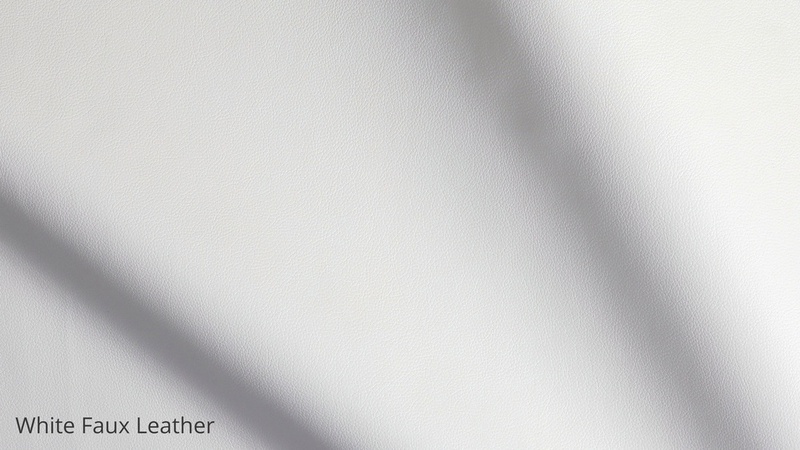 When unextended, the table top is made up of two white gloss panels. 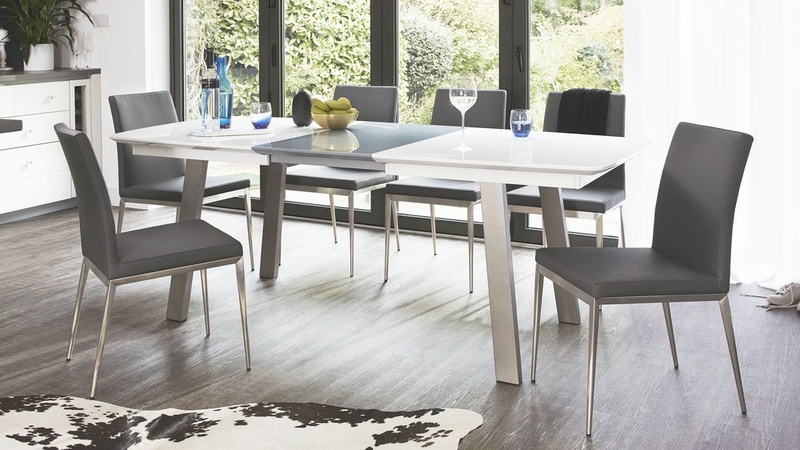 The table can the be separated to reveal a grey high gloss extension leaf that can easily be pulled out and poped into place. 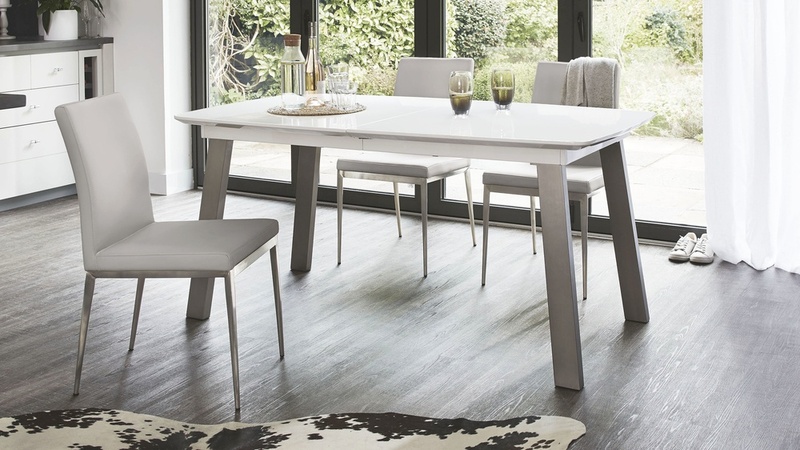 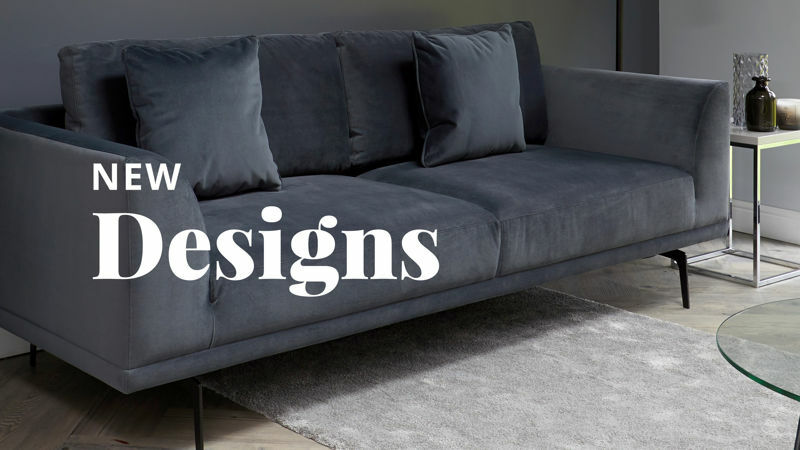 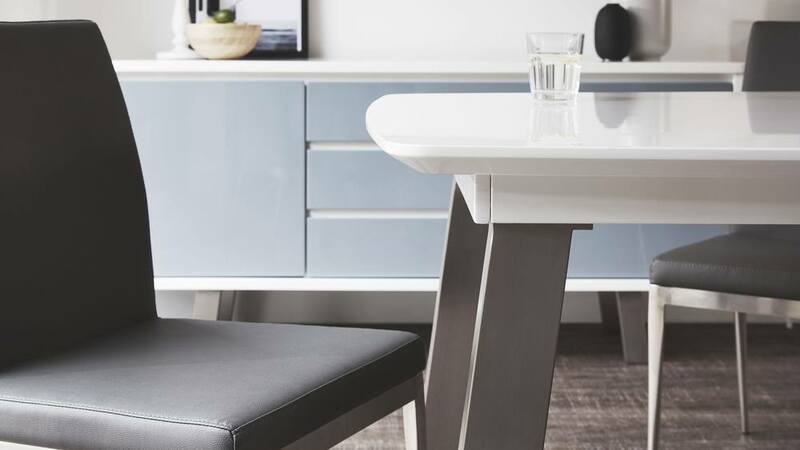 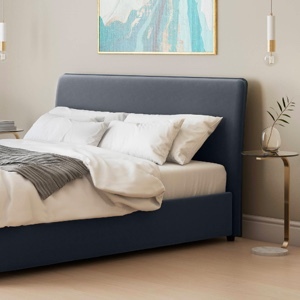 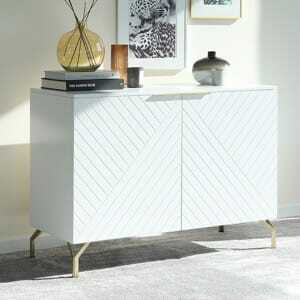 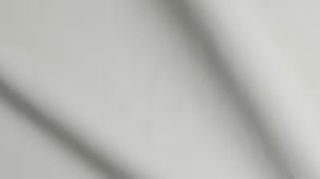 They grey panel adds a hint of warmth and interest alongside the crispness of the white gloss, giving you two style options when the table is extended and unextended, while also creating a very designer look. 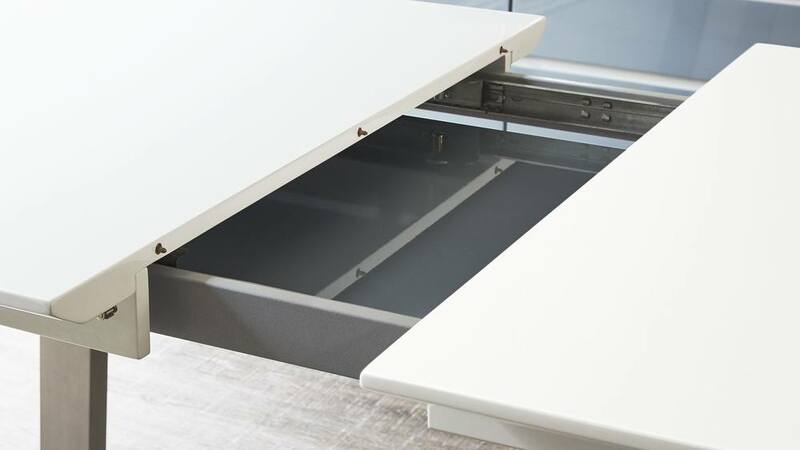 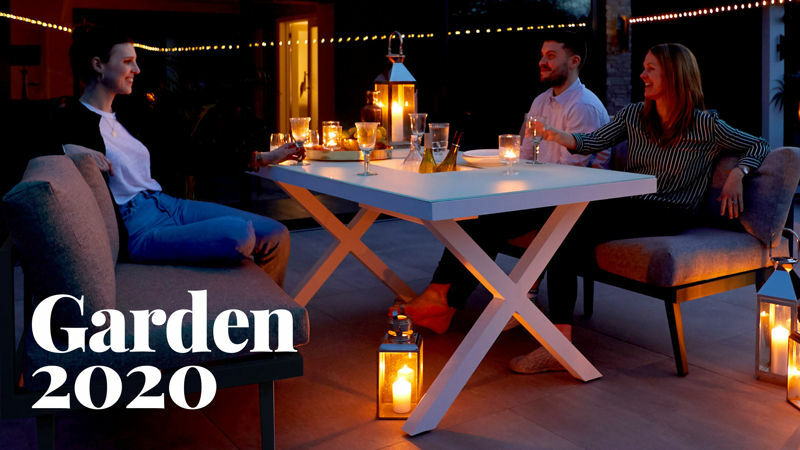 The extension mechanism is neatly concealed out of sight with the extension piece stored securely within the table top when not in use. 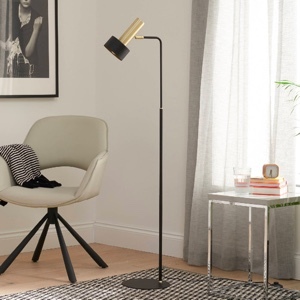 This means you don't needn't worry about storing the leaf elsewhere in your home. 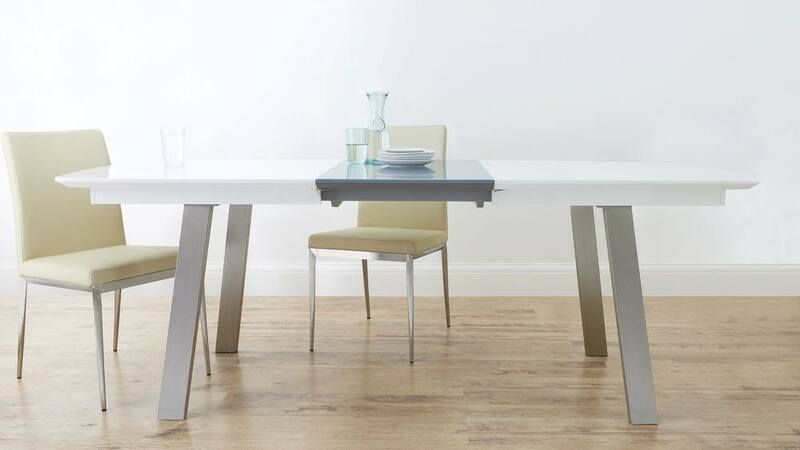 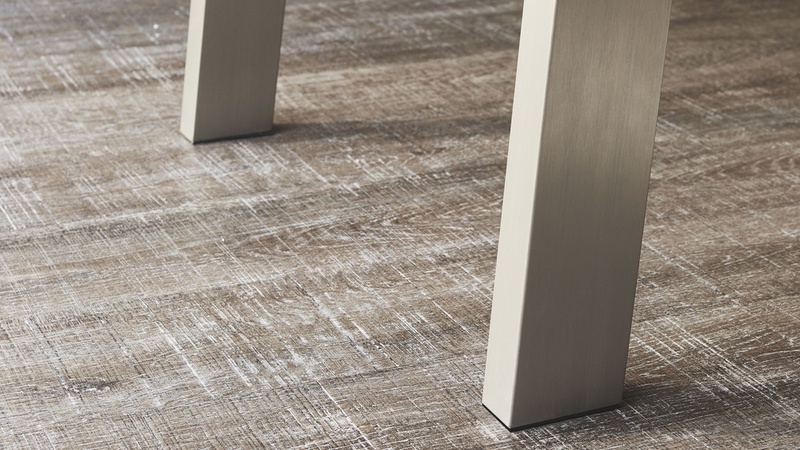 The legs of the Assi dining table are finished in a sleek brushed metal and are rectangular in shape. 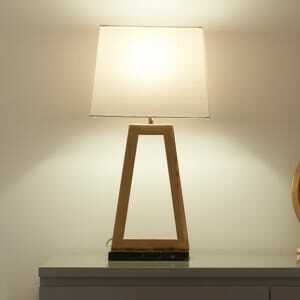 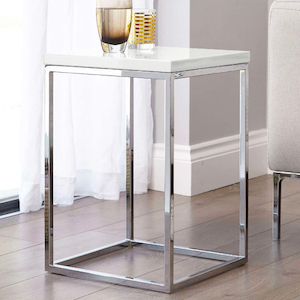 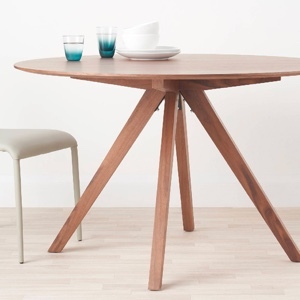 Each leg is slightly slanted to further accentuate the clean-lines and contemporary appearance of the table. 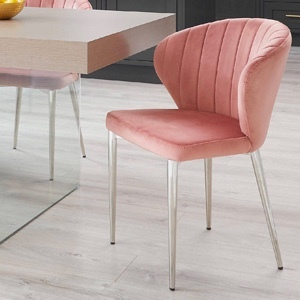 Paired alongside the Assi table is the Lucia dining chair which is upholstered in hard-wearing yet luxurious faux leather. 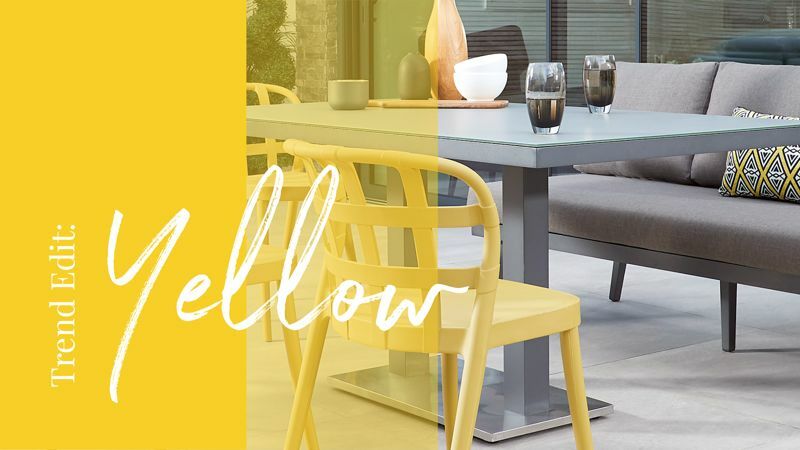 We've selected this colour palette for the Lucia chair to make it incredibly easy to style alongside a variety of existing interiors. 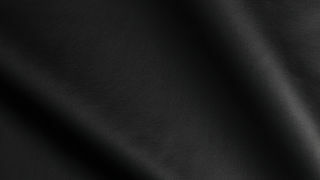 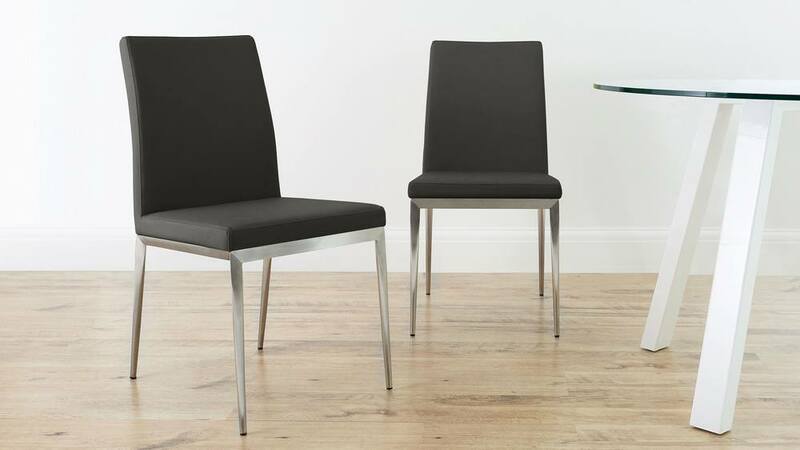 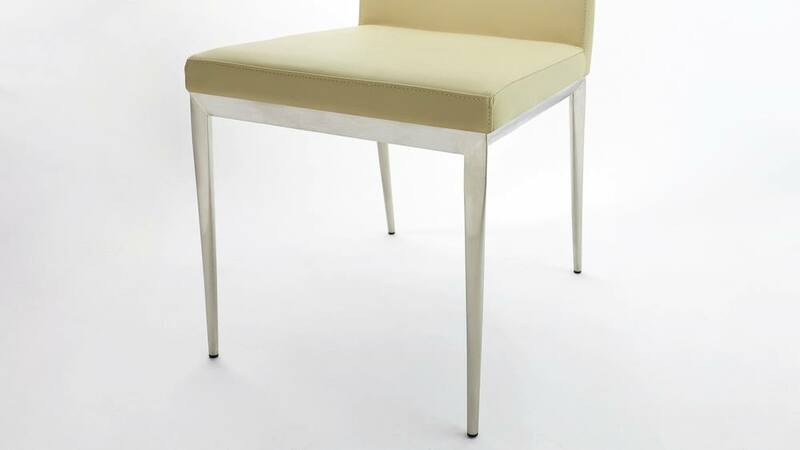 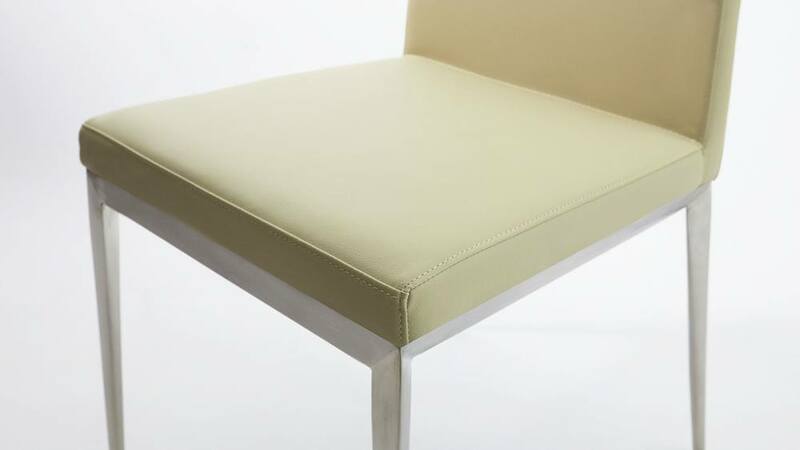 The faux leather we use for the Lucia chair is soft, wipe clean and durable. 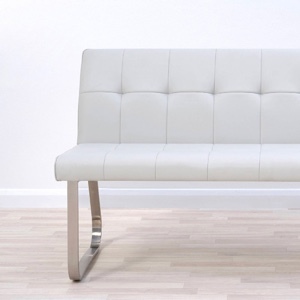 This makes it ideal for mealtime seating and as a great alternative to using real leather. 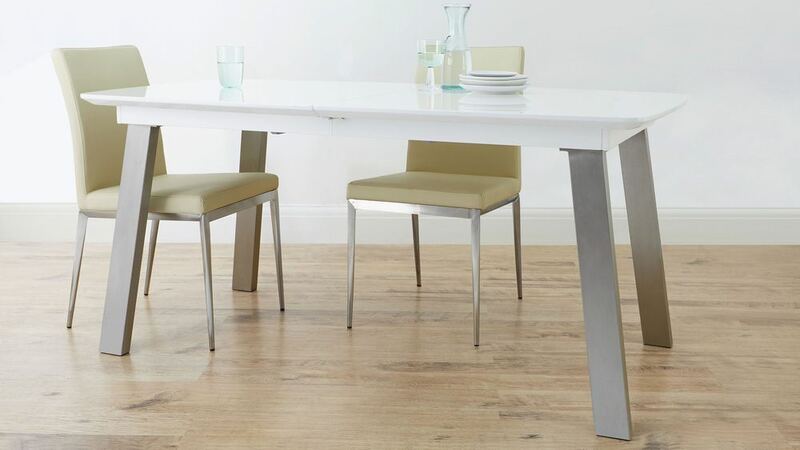 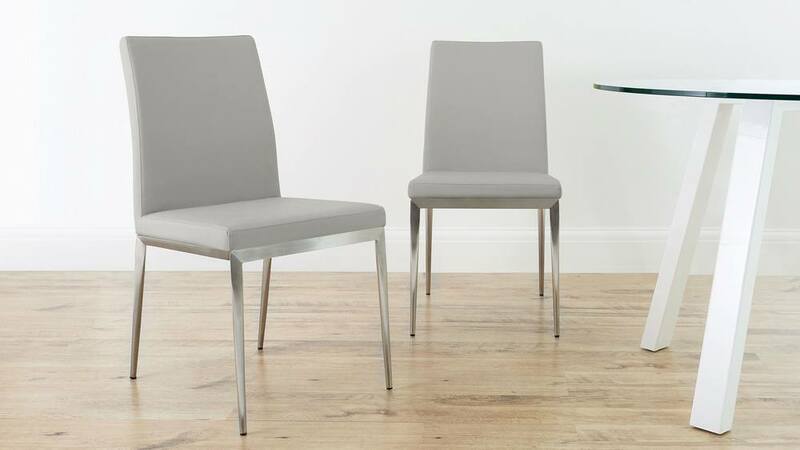 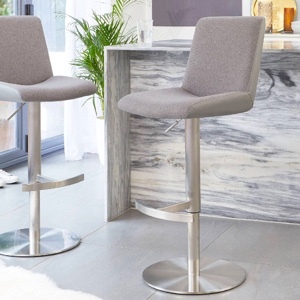 The shapely contemporary legs of this dining chair are finished in a brushed metal and are beautifully tapered to make the Lucia This coordinates with the legs of the Assi table, helping to seamlessly tie the whole set together. 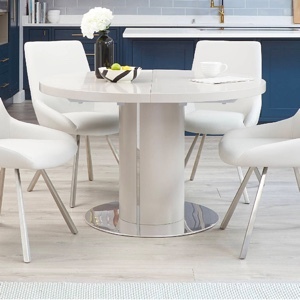 For more information, you can view the Assi White and Grey Gloss Extending Dining Table and Lucia Brushed Metal Dining Chair separately. 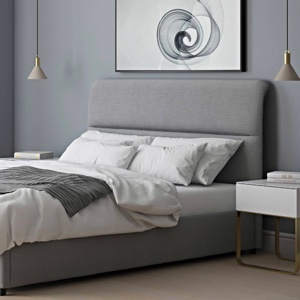 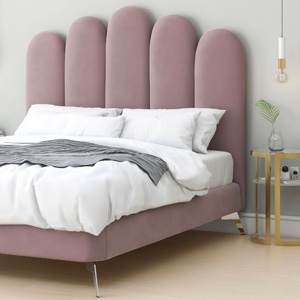 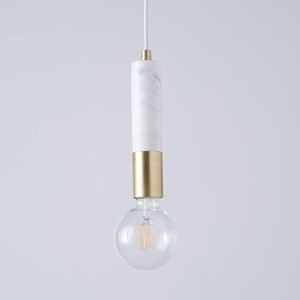 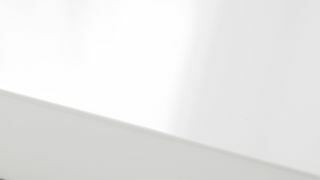 If you're looking for a different colour, why not take a look at our Assi designs in White Gloss or Walnut.